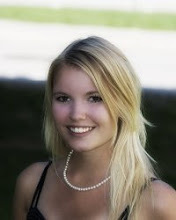 Karoline Klever: Would you like to try the open source Microsoft Dynamics CRM framework for EPiServer? Would you like to try the open source Microsoft Dynamics CRM framework for EPiServer? I’ve been working part time on an open source Microsoft Dynamics CRM framework for EPiServer for a couple of months now. And the alpha version is almost ready! And now it’s time for some testing! I’ve tested everything myself, and I’ve created unit tests for the framework. But still, I want some some more testing to be done before I make the source code public. So if you’d like to try the framework and help me out at the same time, send me an email: karolikl (at) gmail (dot) com. After the testing and a code review, the source code will be released on codeplex. And of course, more blog posts are coming up!